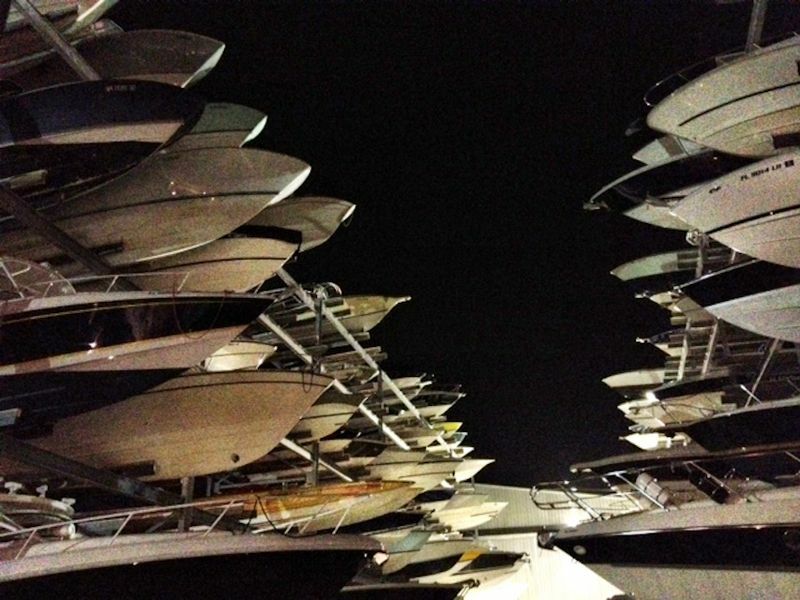 Last night we all went back out to Monty's in Coconut Grove for some dinner and margaritas. After dinner we went for a walk down around the waterfront. 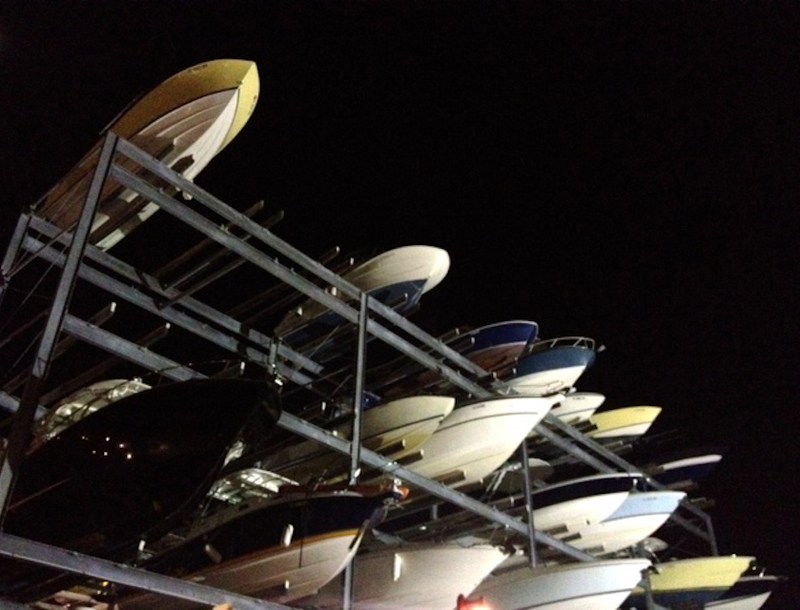 These several-story power boat storage racks looked pretty cool at night. 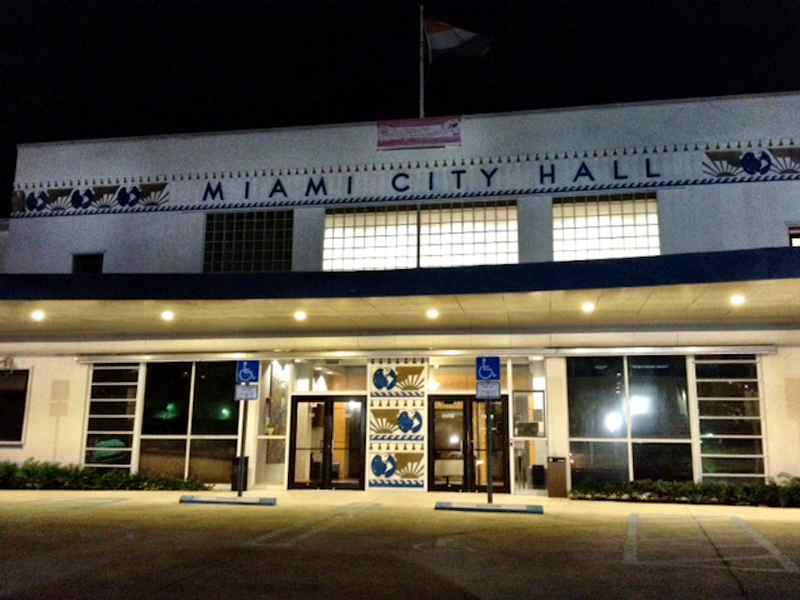 Craig took us around to check out the Miami City Hall — it used to be the Pan American World Airways Seaplane Base and Terminal (built in 1933). Once you know that, it's easy to notice that many of the other buildings there on the waterfront were previously seaplane hangars. 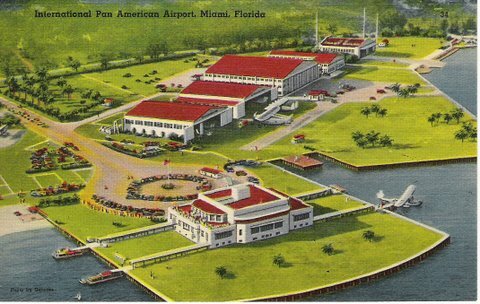 I found this image from an old postcard that shows the terminal in the foreground, and the supporting hangars in the background. Now it's all marina, restaurants, boat storage, and City Hall. 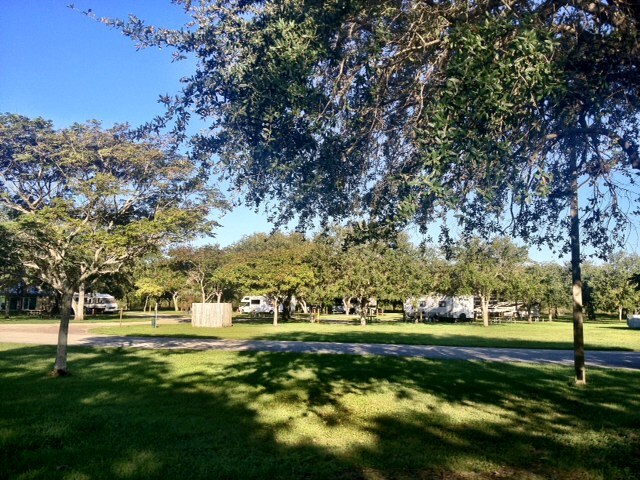 It's a cool area with interesting history…check it out if you're down there sometime. We're doing some work this morning, and pretty soon we'll head out for a quick stop in Orlando. We figured we should do the Disney thing since we're this close (the theme of this trip, apparently).